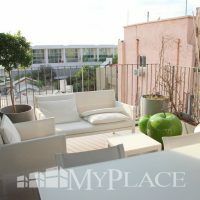 “My Place” is a real estate site with properties for sale in Tel Aviv. 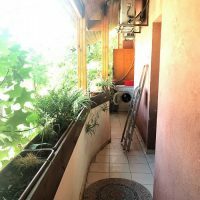 Here you’ll find new apartments, second hand apartments, buildings and rooftops available for building and projects in Tel Aviv. We have a wide variety of properties available and through our user friendly search function you can find the property that meets your needs and your budget. Among the properties you’ll find apartments with character in historic buildings, penthouses, roof top apartments, apartments for investment, income generating properties and more. “My Place” properties are marketed exclusively by us. We provide you with open and direct communications with apartment owners and all information about the property, including all related legal and engineering documentation relating to the property, details about the building and more. In each property file you can see up to date photographs of the property’s actual, details such as the size (SqM), floor, local winds and ventilation, building services and more. At the press of a button you can see the exact location of the apartment’s building. These services are designed to provide you, our clients, with all relevant information and details about the property even before you decide to view it. Here at “My Place” we are committed to providing you with the highest possible levels of professional service and stand behind all the properties we offer. 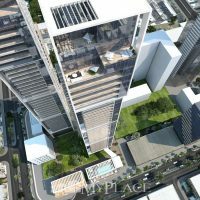 The company was founded by Amiram Ben Ezra and Amit Ferenz who have been active in the Tel Aviv real estate scene since 2004. Since its establishment, the company has become a leader in the field with a reputation second to none. Our office includes a large team of expert, experienced real estate agents all licensed as real estate agents by the Ministry of Justice. They are consummate professionals with excellent communication skills. The company provides many services including a varied range of services connected directly to real estate. All this under one roof. We specialize in marketing which is why every property handled exclusively by the company is given a modern marketing program to maximize the transaction in as short a time as possible whilst maintaining open and transparent communication with our clients. From the south of Tel Aviv through its vibrant, pulsating center, the center of town, the veteran northern neighborhoods, Bavli, Neve Tzedek, the HaBimah complex, the city’s eastern neighborhoods, Kikar HaMedina and more. “My Place” Real Estate Projects and Marketing Ltd. has apartments for sale in every neighbourhood! Including an impressive selection of luxury apartments close to the sea, apartment blocks, new and future projects. Our city wide coverage combined with a commitment to provide the best possible customer service is the winning combination that will help you find your next apartment and your perfect deal. Our office provides services such as: property valuation, legal advice provided by an attorney who works with the company, mortgage consulting provided by expert professionals, project management, architects and interior designers, internal renovations and more. Our clients enjoy a “One Stop Shop” experience.